The holiday weekend flew by, right? I’m not ready for today! 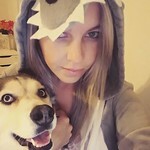 I need a few more days of doing nothing! 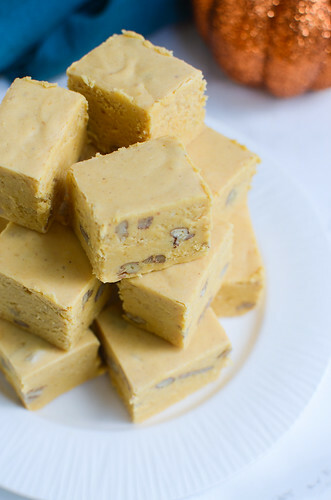 But the good news is that we can officially move onto holiday treats now! Yaaaaay! So tell me, do you stick with the same holiday treats every year or do you switch it up and try new things? I usually do a mixture of both. I always make my crockpot candy, my almond bark drop cookies, the cranberry orange cookies, and my mom’s snack mix. And then I always try a couple new recipes. 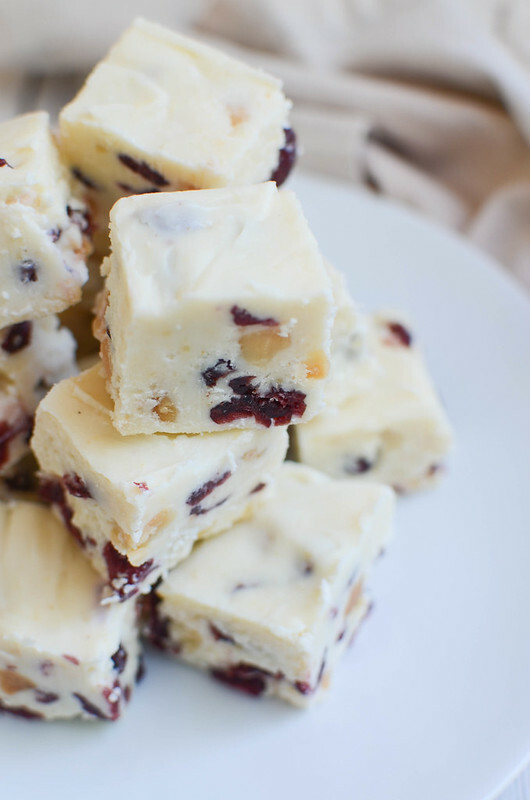 If you’re like me and want something new to try, make it this delicious Cranberry Macadamia Nut Fudge! 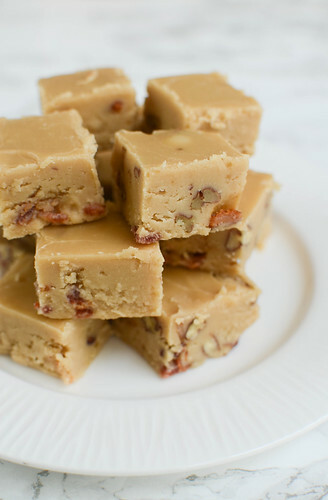 This is one of those easy fudge recipes that don’t require a candy thermometer so it’s super simple and also pretty much no fail. You just have to boil some butter, sugar, and evaporated milk for 5 minutes and then you stir in white chocolate, marshmallow creme, and the mix-ins. It’s so good. 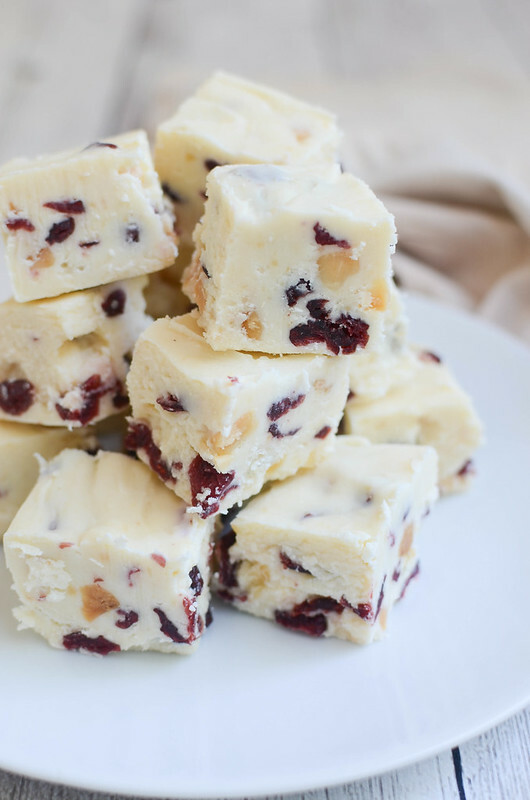 I love a white chocolate fudge anyway but with the chewy dried cranberries and the crunchy macadamia nuts… just perfect. 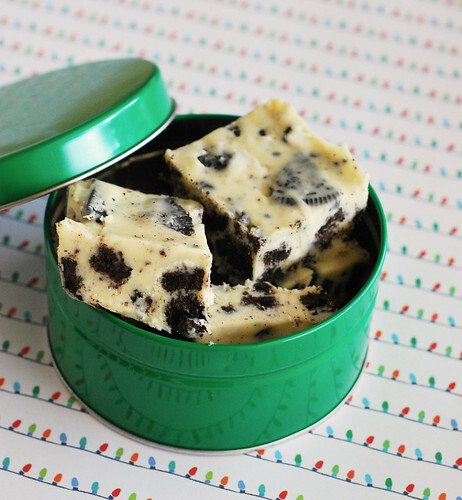 I’ll definitely be making this one again when it’s time to make cookie tins. Line a 9x13-inch pan with aluminum foil. Spray lightly with oil. In a medium pan over medium heat, stir together sugar, butter, and evaporated milk until the mixture comes to a boil for 5 minutes. Remove from heat. 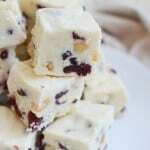 Stir in white chocolate chips and marshmallow cream and stir until smooth. 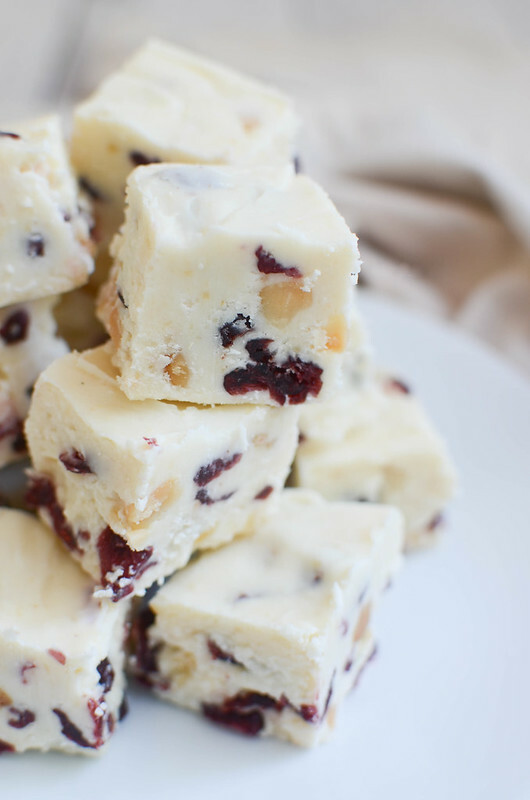 Stir in vanilla, cranberries, and nuts. Pour the mixture into the prepared pan. Chill for 2 hours or until firm. Cut into squares.